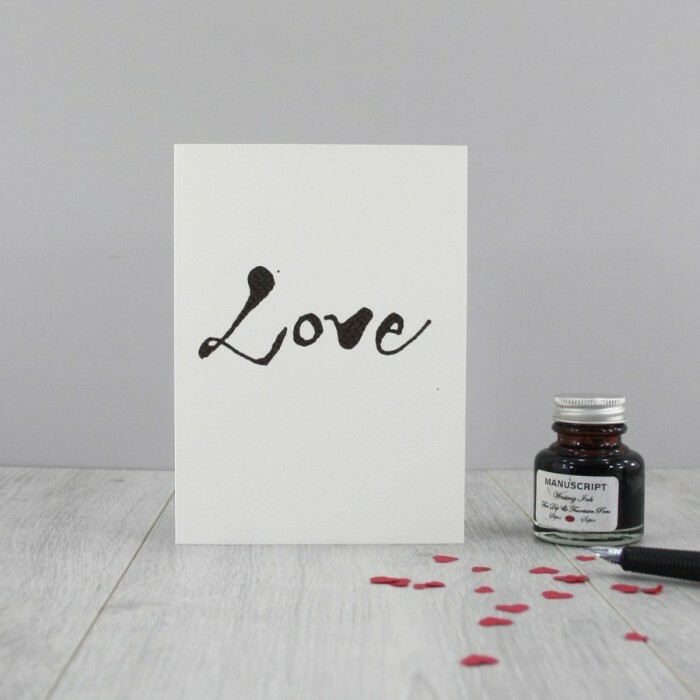 This vintage style romantic calligraphy love card is from an original calligraphy ink and pen artwork. Perfect as a paper wedding anniversary card, for a special birthday or as an engagement card. 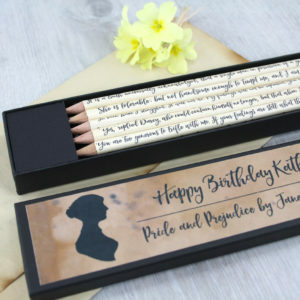 This vintage style romantic Love calligraphy engagement card is from an original calligraphy ink and pen artwork. With its clean lines and simple style it is both elegant and timeless. It would make a beautiful anniversary card, paper is after all the traditional gift for the first wedding anniversary worldwide. Or as a valentines day card, or even as a sentimental of caring to a dear friend. It’s black and white monotone colours make it suitable for both men and women to give and receive. As an engagement card or wedding card it is simple and stylish. A classic greeting card to suit those who want something simple and elegant. 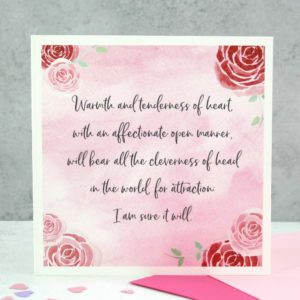 Buy a number of the romantic calligraphy love cards to have in stock so that you are never caught out, all orders are free to ship no matter where you live in the world. 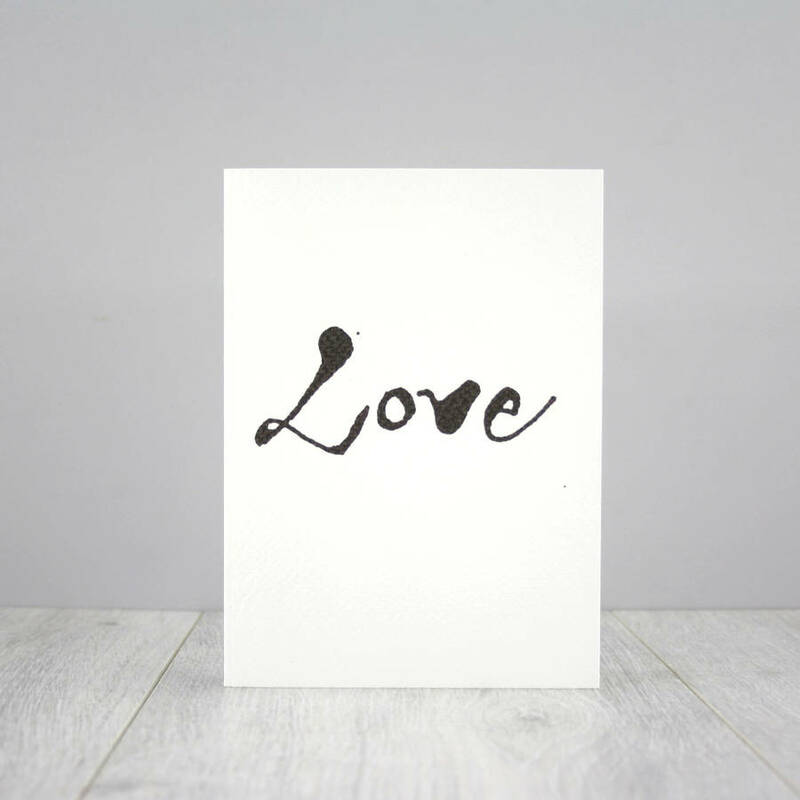 This romantic calligraphy love card was designed and made in my studio in Ireland. It was inspired by my love of calligrahy and ink work. I used calligraphy pens and a deep black ink to create the artwork which was then digitally edited to turn the artwork into a greeting card. It was printed using high quality inks on textured watercolour paper. The inside of the card is left blank for your own message. Each card comes with a red envelope. If you would like it sent directly to the recipient just ask in the notes to seller and I can write the message inside the card for you. And don’t forget to put their address as the shipping address. High quality watercolour paper is used for the card. The accompanying red envelope is a lovely smooth finish. 11 x 15 cm portrait style. 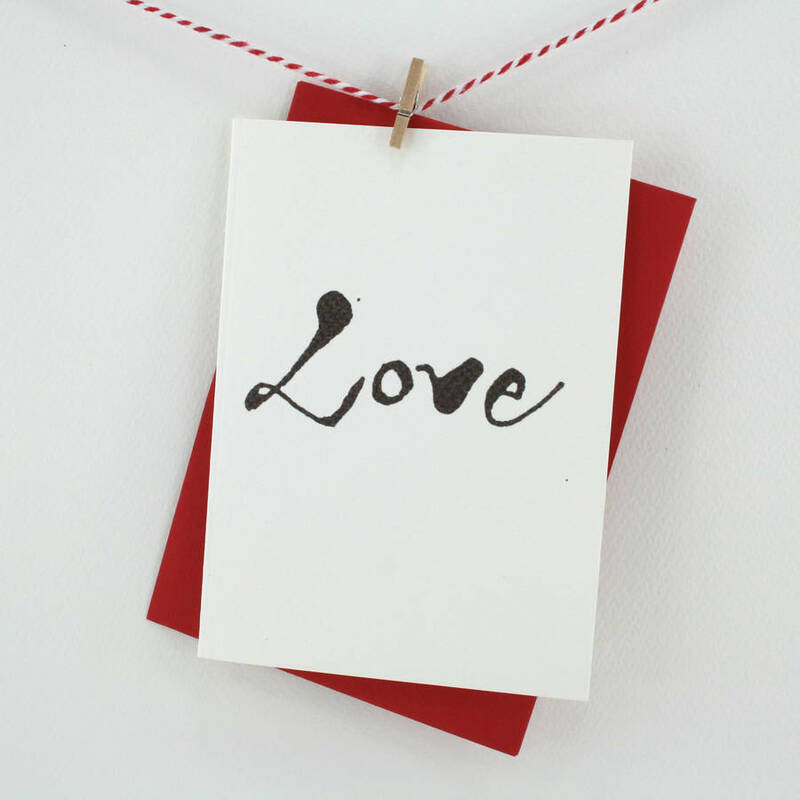 This romantic calligraphy love card is an original design by Vanessa Scott-Hayward at six0six design copyright 2015. 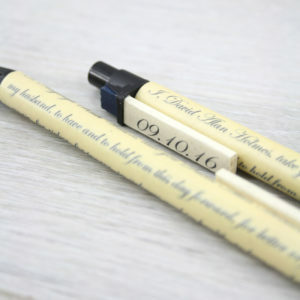 Don’t forget to browse all the other cards, pens, pencils and keepsakes in the collection. Remember it is free shipping worldwide on all orders.